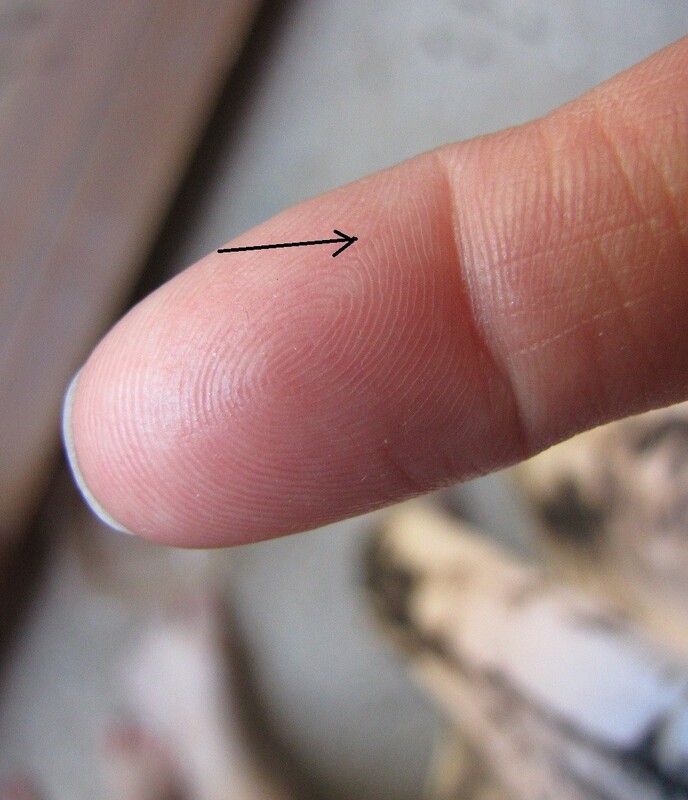 Please help me identify this print on the right index finger. All other fingers and thumbs have ulna loops. This right index is going in the opposite direction and at first I thought it was another loop but as I looked closer I was unsure what pattern it would be classified as. I have included 2 photos at slight different angles to try show the lines clearly. 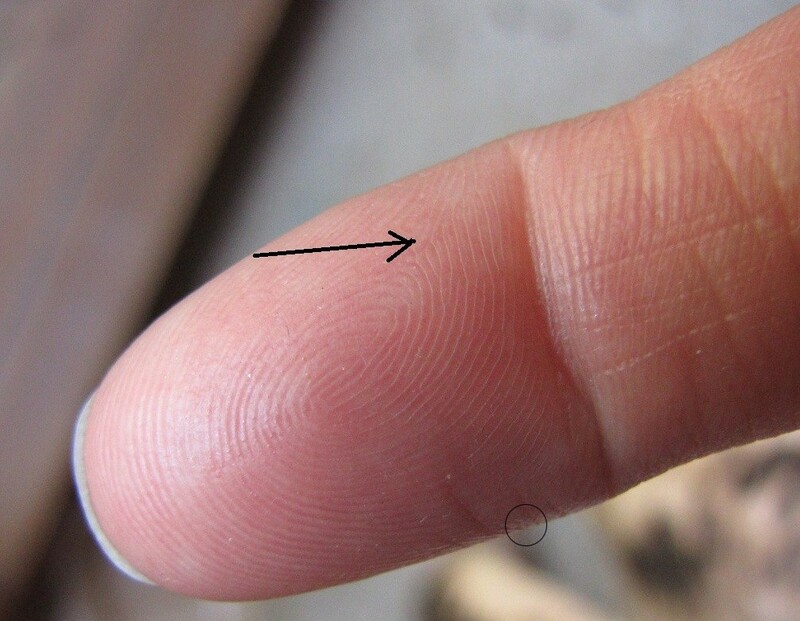 Re: What is this fingerprint? Hello Foxymoron, it's a whorl. PS. It's not a central pocket loop (a.k.a. peacock) because the whorling ridges pass the virtual line between the two triradii; and it's also not a double loop because the shoulders of the two cores are connected. Martijn, where can you see the other triradii? One is clearly visible. Kiran, the second triradius is just visible in the upper photo (between the two largest lines at the radial side). Martijn, that was the one I was referring too. Where do you see the other? Kiran, the ridges indicate that the 2nd triradius is located somewhere in the encircled region. PS. To foxymoron: I would welcome you to check out whether the 2nd triradius is indeed present at this location. great observational skills Martjin. Yes, there is a 2nd triradius. It is faint, but it is there. I actually found it difficult to see clearly . I have included a photo to better show the area you spotted. Nice to see that you found it!